darkness, except that one window. the Son always Shining in. just tunes, a world all my own. people would venture down those steps. one thing always the same. no matter how i tired to ignore. the Warmth, i refused to accept. It found me, against the wall. the Son, wouldn't leave me. that Light stayed with me. the Son wouldn't be blocked out. 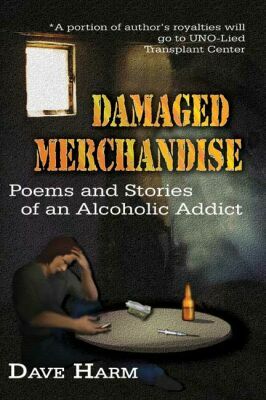 18 thoughts and reviews from "Authors Den"
Sometimes damage makes something all the more special. The little scratch on my hutch made me know how much I appreciate that piece of furniture, and the child who put the scratch on it. I'm a big believer in things happen for a reason, and some of those society considers 'damaged' have really come to teach us important lessons about life and love. Very nice work here, Dave. I can't wait to read more. Damaged sure, but always hopeful. There is always hope. Beautiful! The Son is a faithful and determined One. Thank goodness! As an alcoholic in recovery, I saw much to relate with here. An excellent poem, Dave. Thank you. Remarkable....what the son can do to us!! The light is stronger :-) Great write. Hallelujah - you made it through! What an uplifting gem this is Dave! It's inspired by the Son Light that shone in your eyes forcing you to see the truth! How great is that? ;-) Splendid writing! Thanks for sharing! Inspirationally boosting write - very emotive and well-imaged ... thanks for this one!! This is a very inspiring poem, Dave. If you made it out of that hole, others can too. I like this because it fits in with a novel that I am working on. I like how you handled this one. Yes damaged lives are difficult to deal with. Dave, A magnificent testiment to the Higher Power that loved you despite yourself and your additions. The addictions are no match for God! And you realize that--a beautiful, affirming, lifesaving write--BRAVO! no matter what you go through, dave, the Light is always there! Glad you found the Light! Wonderful poem of hope and healing!